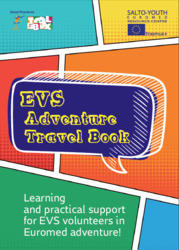 Informative material and training's outcomes about Evs Accreditation and Mentors' TCs. The 2014 was the pilot year for the accreditation process in the South Mediterranean country. In this session are published informative material and training's outcomes that might illustrate the process and inpire new NGOs to start the accreditation process. Database of EVS accredited organisations: the list of organisations accredited to run projects under European Voluntary Service - part of the European Union's Erasmus+ programme. Database of Volunteering Opportunities (VOD) that helps young people to find transnational volunteering projects more easily and assists organisations to attract potential volunteers to their projects. The VOD is available only for organisations accredited under Erasmus+ (so since 2014). The access is gained with the e-mail that should be the same in ECAS and accreditation application. 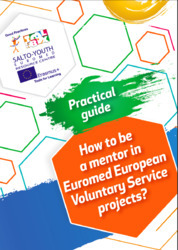 Practical Guide: How to be a Mentor in EuroMed EVS projects?